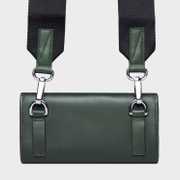 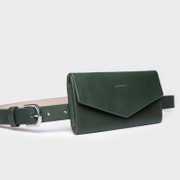 Shoulder bag that double as a belt bag in high quality vegetable tanned green leather. 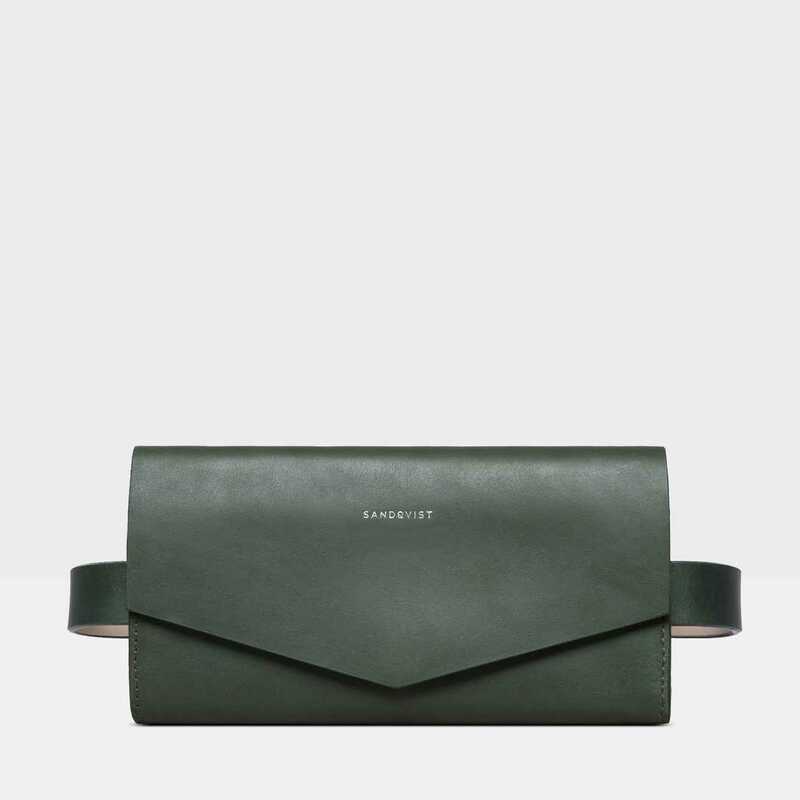 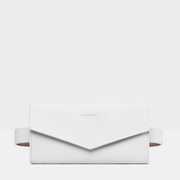 Minimalistic shoulder bag in vegetable tanned leather. 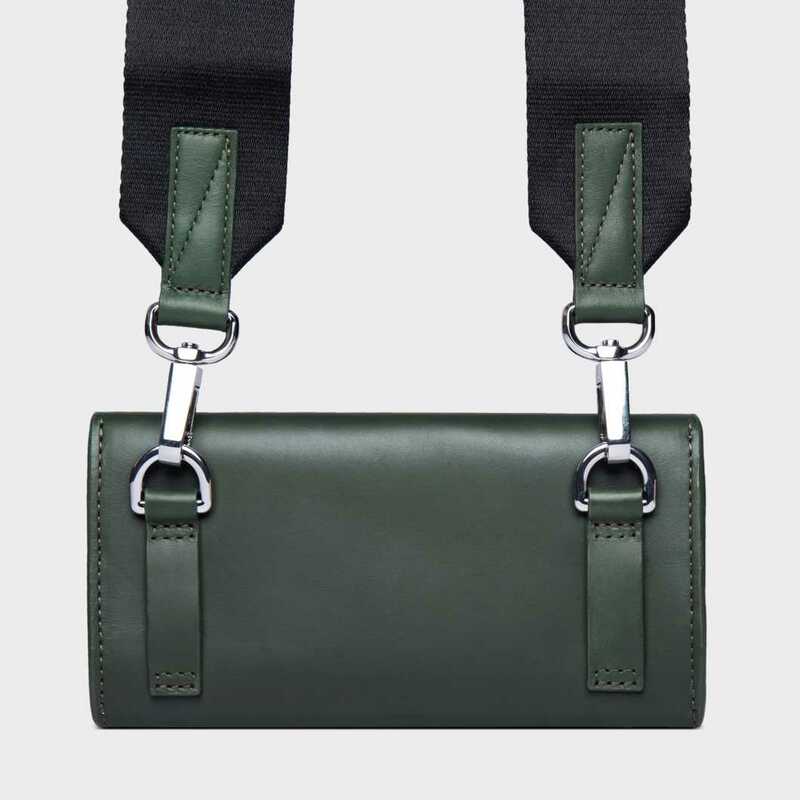 The bag is small and versatile as it double as a belt bag. 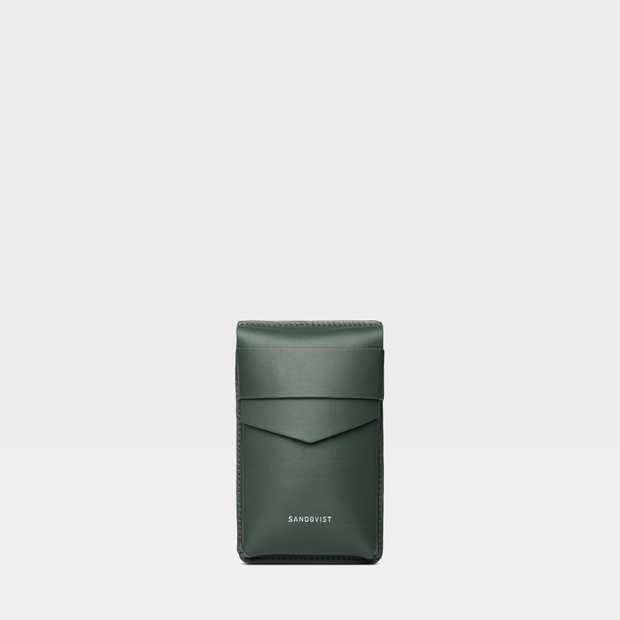 Inside features a slip pocket to help you keep organized. 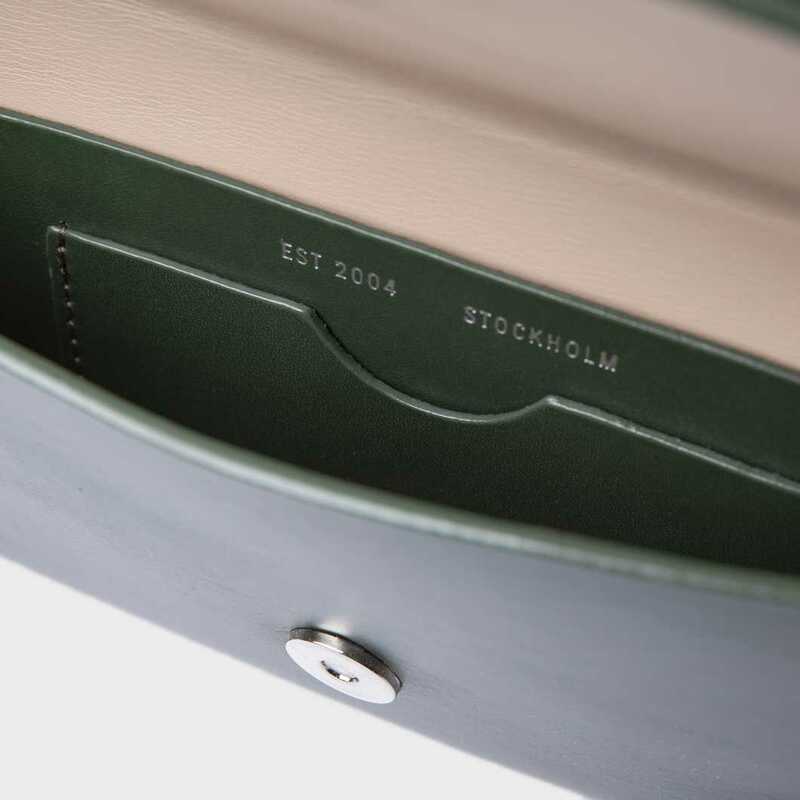 The lid closes with a magnetic button. 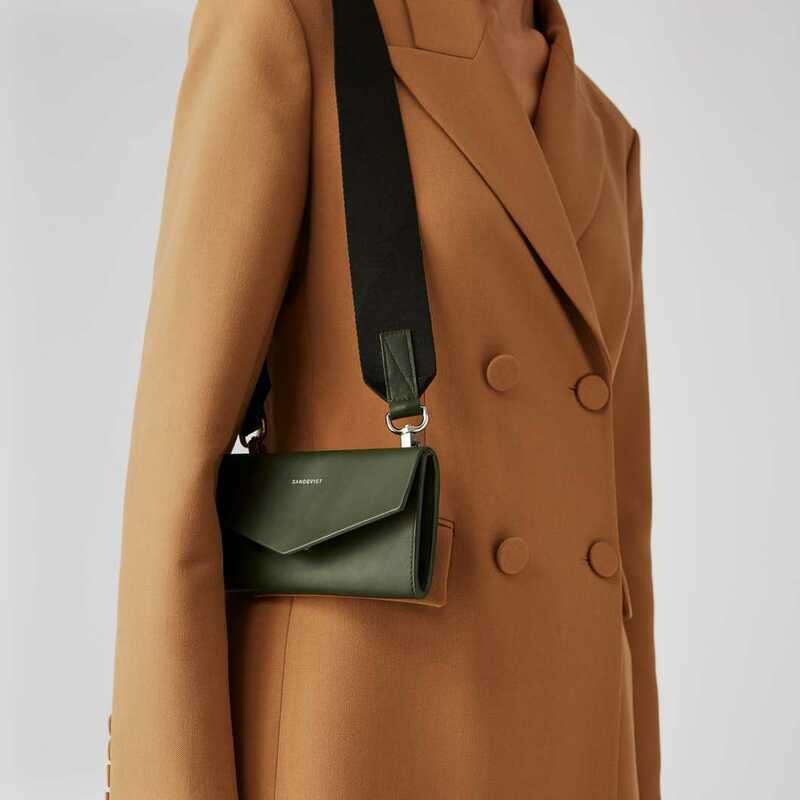 The inside of the bag is color blocked with beige. 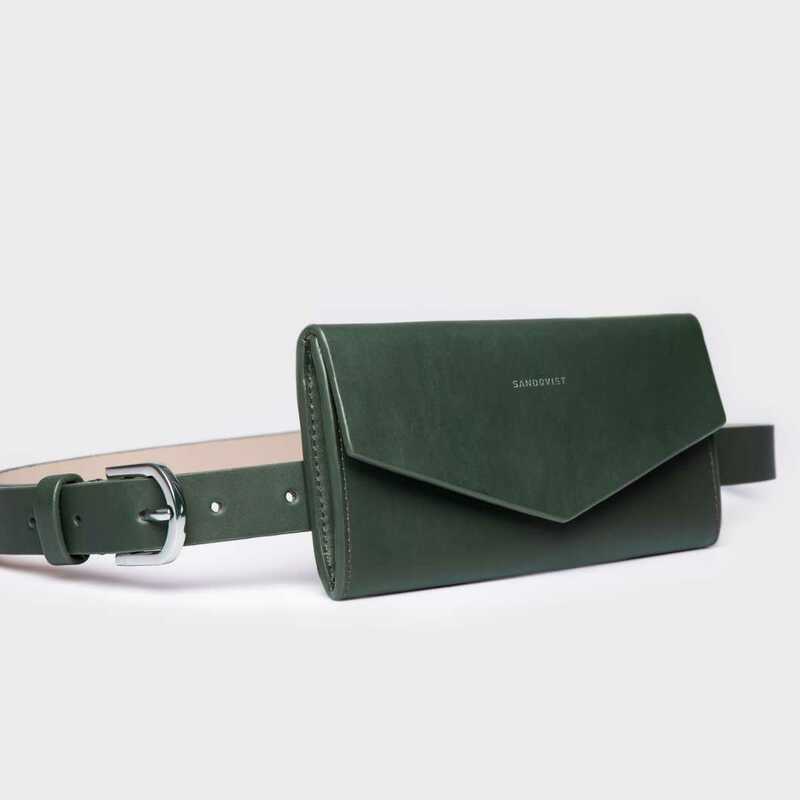 Wear it around your shoulder or around your waist, the sleek design and minimalistic look makes FLORENS the perfect addition to your look. 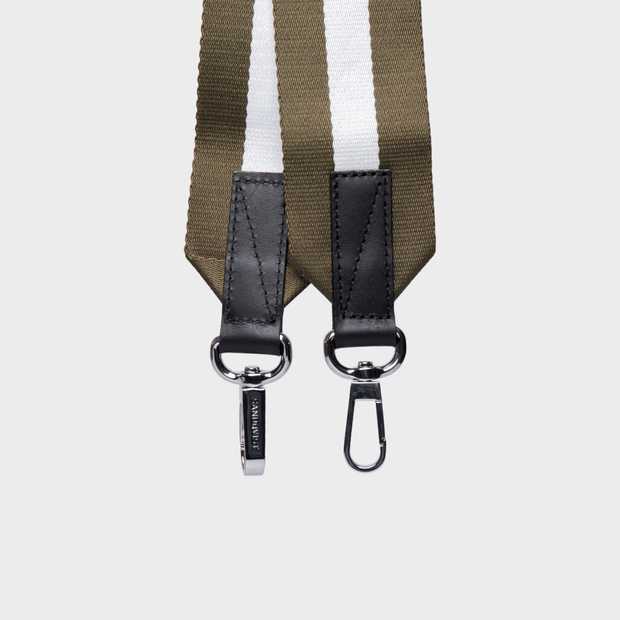 Measurements belt: Buckled tightest 88 cm. 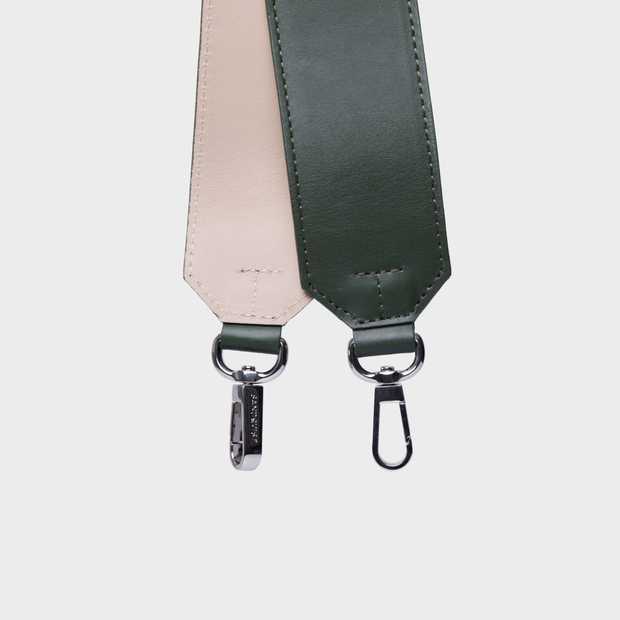 Buckled loosest 104 cm.